Obtenez ce transfert de bail pendant 8 mois pour des paiements mensuels équivalents U 442.58$/Mois +Tx apr s incitatif. Vous pourrez rouler 5,706 Km par mois. 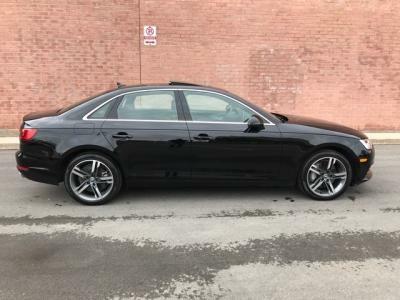 Audi A4 2017 Fermer la fentre. Take over this lease for 22 months for only $766.00 per month plus taxes and receive $2,500.00 as a cash incentive paid directly to you!! - that means you only pay $664.00 month plus taxes. It currently has 14350 km’s and you can drive it up to 60000 km’s at no extra cost - which is equivalent to 22825 Free km\'s per year. 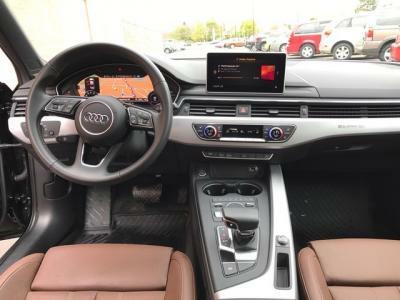 Loaded A4 with Black exterior with Nougat Brown interior with heated and cooled seats. 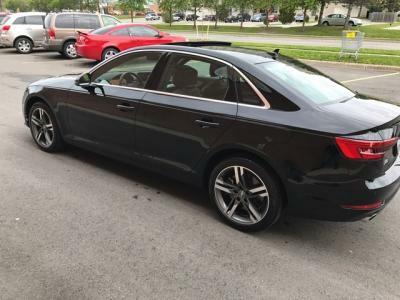 All Season Protection/Excess Wear Tear Insurance Total KMs for extra peace of mind at the end of the lease. ADDITIONAL cash incentive until the end of February!! Please email for more details. Thanks!